Great job completing your core project. If you haven't done that yet, go back and complete all the steps in the previous videos. Now it's time to add some cool stuff to your project. This page contains a bunch of videos you can watch to see new, fun ways to customize your project. The rest of this video will introduce all the videos below. Here are your Add-Ons for this activity. In Music, add music that will play while your athletes showcase their moves. With Movement, program your athletes to get active by moving around the stage. In Changing Colors, make your sprites change colors similar to how athletes wear different jerseys. In the Zone programs the sports commentator to give the athletes a performance boost. 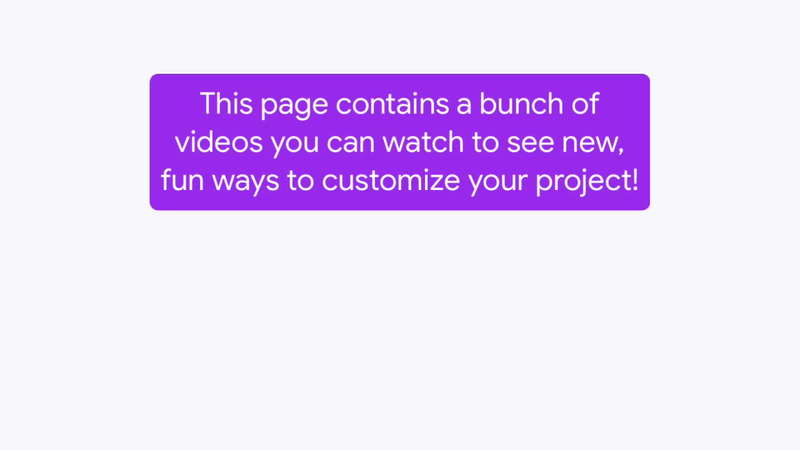 Enjoy creating and coding with these Add-On videos and try to do something to challenge yourself. Add music that will play while the athletes showcase their moves. Program the athletes to get active by moving around the stage. Make the sprites change colors similar to how athletes wear different jerseys. Program the sports commentator to give the athletes a performance boost.